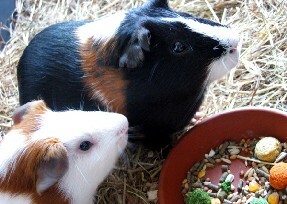 Most of the time, Stichting Cavia houses a large number of guinea pigs that are looking for a new owner. Therefore, if you are looking for a (couple of) guinea pigs we would like to ask you to take look at our animals first before going to a (more expensive) pet shop! Most important: know what you are doing. A guinea pig is no toy that can be disposed of when it is not interesting any more (a reason we often encounter when a guinea pig is brought to us is “the children didn’t play with it any more”). Stichting Cavia has written a brochure (in Dutch) about guinea pig caretaking, containing all information about how to treat your guinea pig best. Guinea pigs are social animals. Therefore, we prefer to sell a pair of guinea pigs instead of a single animal. For each guinea pig we charge 10 euro. By paying this amount, you will also become a contributor of our foundation for 1 year and receive our newsmagazine “de Caviakrant” (The Guinea pig newspaper, only delivered in the Netherlands) twice a year. Stichting Cavia remains the official owner of the guinea pig you bought for three months. Therefore, you are obliged to contact us if there are problems with the animal within this period and we will try to solve them. If everything goes right, you become the official owner after that period. There are guinea pigs waiting for new owners all thorough The Netherlands. You can click on the buttons below to see photos of these animals (sites in Dutch only). If you need the phone number of one of these addresses, you can send us an e-mail:informatie@stichtingcavia.com . 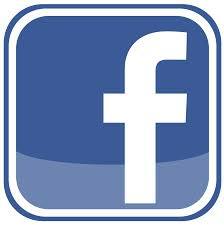 Don’t forget to mention the city you live in so we can send you the nearest shelter address. Experiences of someone who has got several guinea pigs from Stichting Cavia can be found onthis page (english version available).